There are always interesting to research the information about what people search from the internet. When I talk about Google Trends, that because Google is major search engine used by most people in the world. Today Google, have not create information about the trends in each country. For example, if you want to find Google Trends in India, it will be difficult. But, by using other tools, we can find some data that maybe useful. For search trends in India, Try open http://www.alexa.com/topsites/countries/IN, then go to the one of top 100 pages (India website). 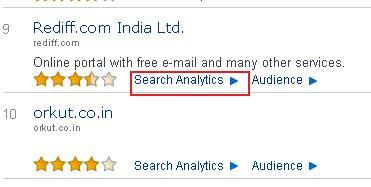 Just click search analytics, then we will know the search trends of the website.